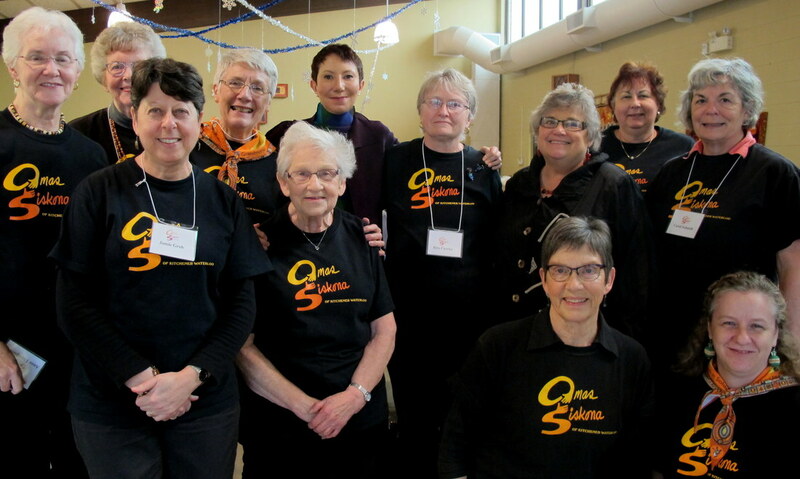 The seed for growing our group presented itself one October morning when member Bonnie Cole-Arnal referred to the Grandmothers to Grandmothers Campaign during a World Aids Day announcement. The “penny dropped” for Carol Schmidt and Hilary Walsh. 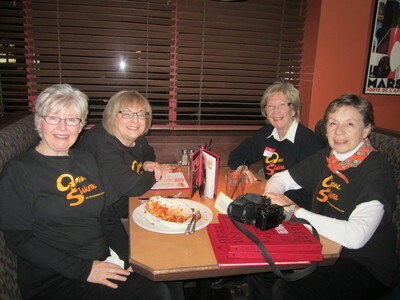 They gathered information about the Campaign, attended a meeting of the Guelph 4G’s, and were inspired to organize a meeting of nine friends, and others already “in the know”, who supported the SLF. The seed for our group was firmly planted at that April 2008 meeting, when we committed ourselves to supporting the Campaign and to growing our newly formed group. Enthusiasm and ideas flowed freely! Our name, logo, executive positions, organizational structure, and registration with the Foundation were underway, as well as plans for organizing a community information, recruitment, and fundraising event for September 2008. Our name OMAS SISKONA combines the German word OMA(S) for grandmother(s) and a Ghanaian word SISKONA for together. It is meant to reflect the cultural history (German) of Kitchener-Waterloo as well as our solidarity with African grandmothers. Our logo, created by founding member Barb Whitney, a stylized O and S, is meant to convey giving a hand and together in solidarity with our African sisters. We would say our proudest accomplishment came in 2016, when our contributions to the GtoG Campaign over these past eight years reached beyond the half-million dollar mark. 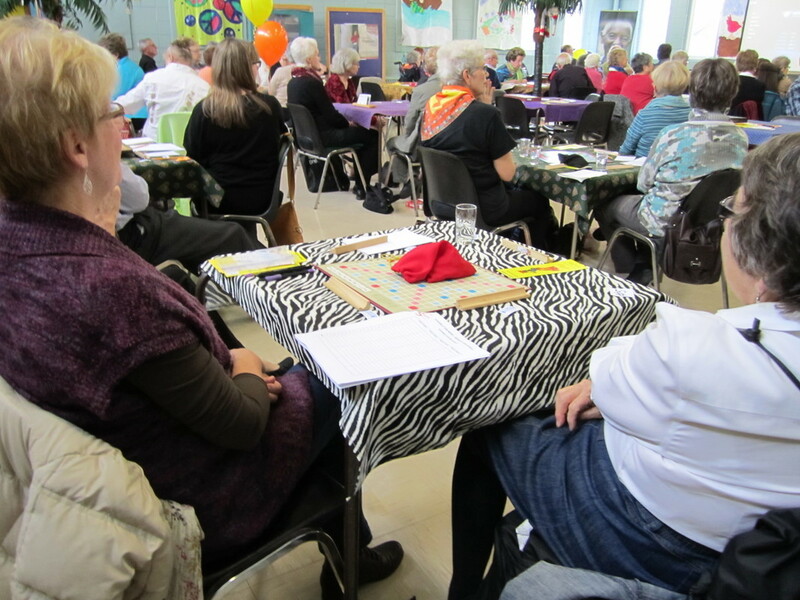 Our fundraising success can be attributed to an annual Scrabble & More Benefit, one of a kind events such as the TorQ Beat by Beat concert in 2013 and the CREATING FUTURES, Threads of Hope for African Grandmothers Textile Art Project in 2014. Smaller events like yard and car trunk sales are always a hit! Perhaps one unique aspect of our group is our commitment to ensure our members have equal opportunity to volunteer for team and leadership roles. Annual elections produce a degree of change each year and change brings new ideas and new ways of doing business. 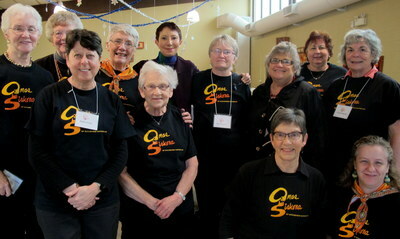 OMAS members continue their commitment to the Campaign for several reasons. Three of our members, including Hilary Walsh in 2010, Terry Wood in 2014, and Elizabeth McNair in 2016, were members of Canadian grandmother delegations organized by the SLF to attend and participate in African Grandmother Gatherings. 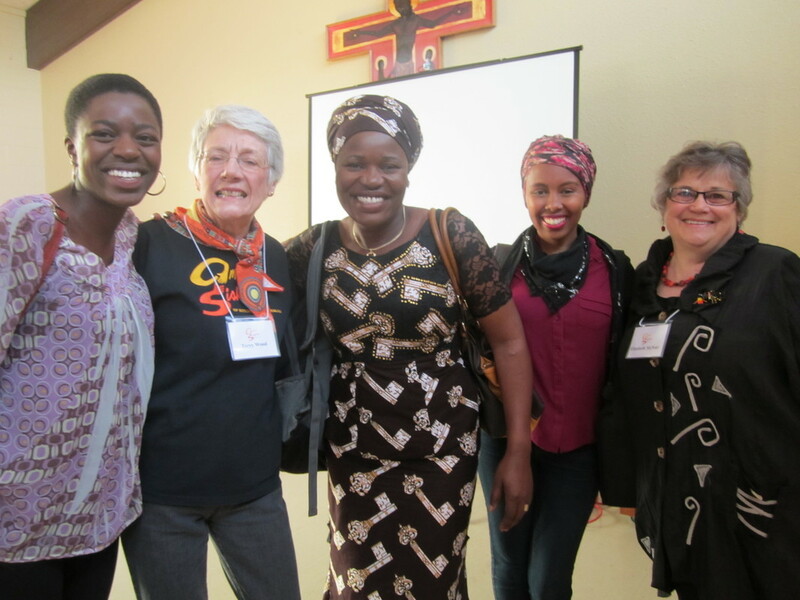 Their experiences inspire us, help us to stay informed, and understand the continuing and pressing need to support our African sisters in their work. We are sustained by the friendships we have made and the successes of our own hard work. Our friendships and experiences with grandmother groups, Foundation staff, and African grandmothers are truly rewarding. But most importantly, a promise is a promise.